Item # 144057 Stash Points: 2,997 (?) This is the number of points you get in The Zumiez Stash for purchasing this item. Stash points are redeemable for exclusive rewards only available to Zumiez Stash members. To redeem your points check out the rewards catalog on thestash.zumiez.com. 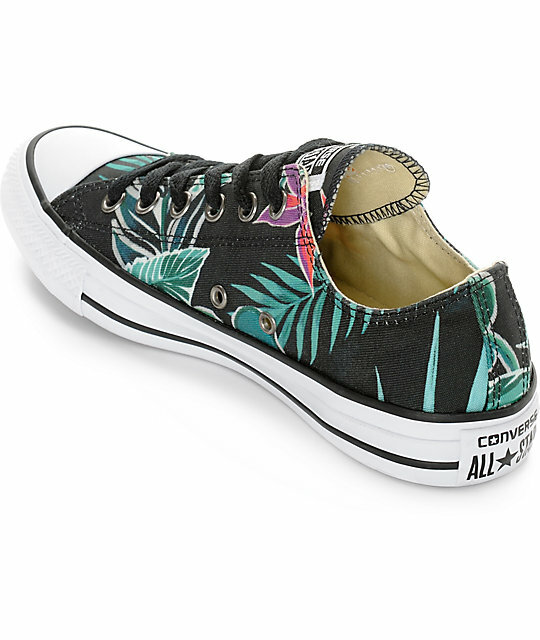 The Chuck Taylor All Star Ox Black Floral shoe from Converse offers the iconic CTAS look with a feminine update. 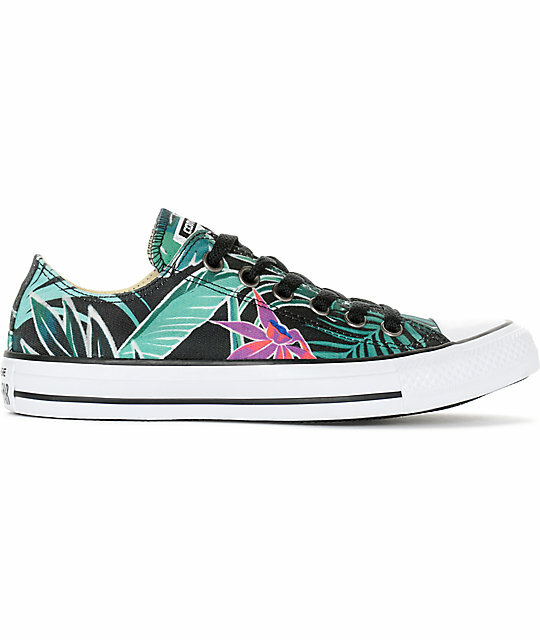 The lightweight canvas in a black colorway with a turquoise and magenta floral and palm mixed print is built atop a durable vulcanized rubber outsole with a matching white rubber toe cap. Additional details of this low top sneaker include a lace up closure with reinforced metal eyelets for durability, a lightly padded footbed for a comfortable wear and metal eyelets at the side for ventilation. 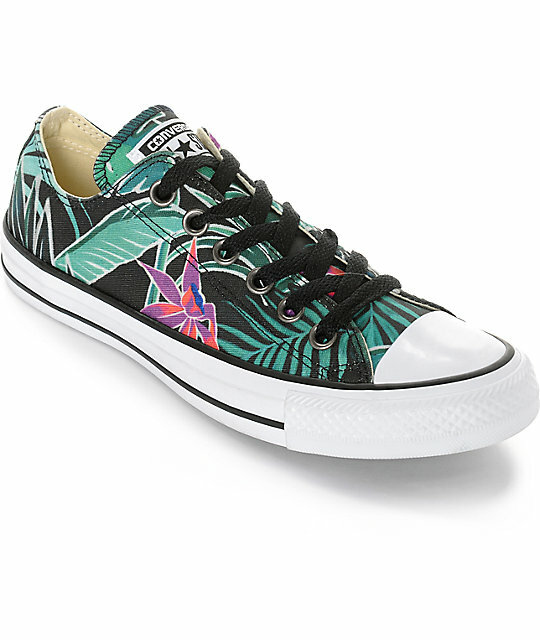 Chuck Taylor All Star Ox Fresh Floral shoes for women by converse. Slim profile with a low top silhouette. 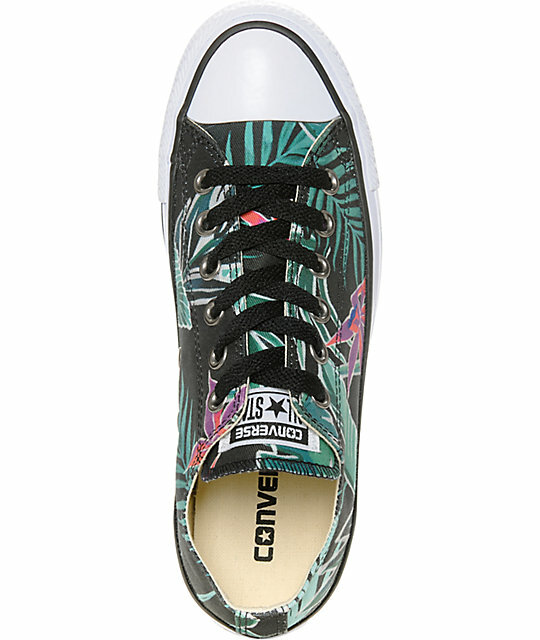 Printed canvas upper with contrast rubber toe cap. 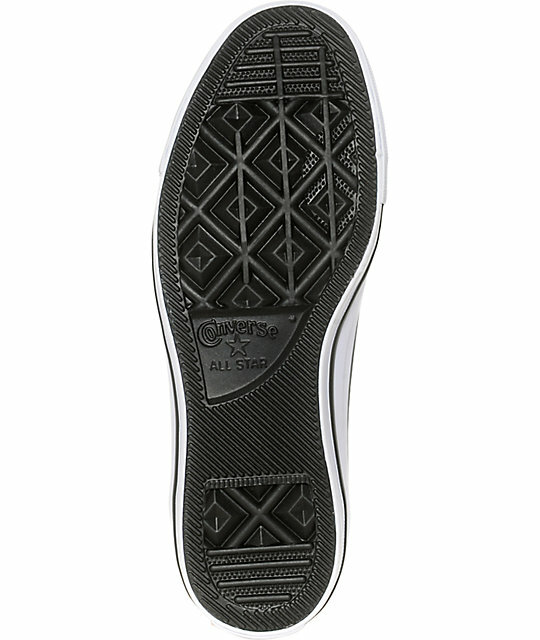 Durable rubber outsole with tread pattern for grip.